Kevin Gillentine | The Death of Southern Cooking? 19 Jun The Death of Southern Cooking? When I was a child I was always fascinated by watching my grandmother cook. Without a recipe, she would throw together the most delicious southern meals. It was such an art. To me it was like magic and I always wanted to be able to do it myself. Well life is funny, I can say now, at 50 years old, that I can cook like that. I’d put my fried chicken up against any southern church lady’s. My biscuits are better than my grandmother’s and when it comes to cornbread, cakes, pies, collard greens, green tomatoes, and all the rest of it, I can throw down with the best of them. The problem is, now that I can do it, nobody wants to eat that kind of food anymore – not even me. Of course once in a blue moon is ok, but if I cooked like that on a regular basis I’d weigh 500 pounds. I can’t get anybody else to eat it either – except maybe for a treat twice a year. It was hardly worth learning. It also serves as a constant temptation. 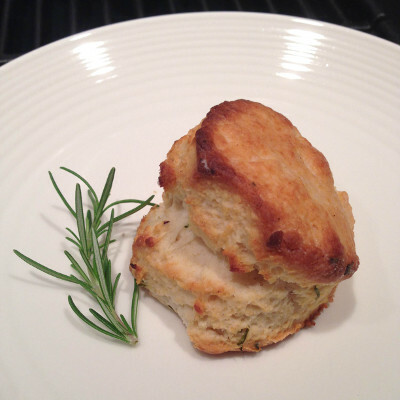 I have to watch my weight, and that is hard to do when I know how easy it is to make a pan of homemade biscuits and how good they would taste with some honey butter. I find all this to be proof of a higher power. Somebody up there is screwing with us. Why is it that ice cream doesn’t raise your metabolism and cause you to lose weight? Why doesn’t sausage gravy help keep your arteries clear? In a completely random world, wouldn’t at least one food that is good for you taste as good as french fries cooked in duck fat? How come a cigarette doesn’t add 15 minutes to your life? Couldn’t taking a 20 minute nap every day ensure that you have six pack abs? Cake couldn’t be doctor prescribed? I guess southern food was intended for people who worked in the fields and needed the calories. They needed energy to do all that hard work and get paid. Now we pay people to make us work hard to burn off our extra energy. Couldn’t the Creator have made it so that working out caused you to get fat? Nope that would be too easy. Again, we used to have to eat heartily to give us the energy we needed to work hard. Now we have to work hard to burn off the food we heartily eat. Like I said, somebody up there is screwing with us! Anyway, I guess cracklin’ bread and fried apple pies are headed for the scrap heap. Have people today ever heard of eating raw mustard greens with streak o’ lean? Tasted sorghum molasses? Had a tea cake? I doubt it. I wonder how many people still know how to make chicken and dumplings from scratch? I do… but nobody wants it.